When you're ready to walk on the wild side, look no further than E*A*E. Below, you'll find a menu of our various animal experiences, ranging from simple group and private visits to our all-inclusive Ultimate Visit package. 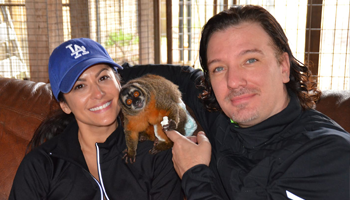 Treat yourself to a once in a lifetime experience with the group visit option. Not a group? NO WORRIES!! This is available for any number of people, as you will be included with other guests to make up our group tour. 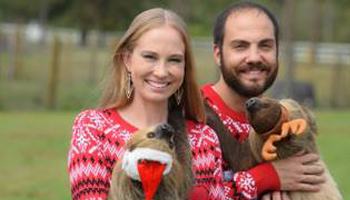 Over the course of 2 hours you will pet all of the animals, including the sloths! You will also go into the lemurs enclosure where my amazing troop of lemurs will entertain you endlessly. As if this isn't enough, you will also go into the kangaroos enclosure where you will give roos a bottle and treats, hugs, and snuggles. Please note: the age restriction for the group visit is 10 years old. If you prefer a private visit, vs. sharing with other people, this is the visit for you. It is identical to the group visit, except it is private for your party. This is perfect for families with younger kids, as the age restriction is 8 years old. Looking for the most extreme interaction? This is your visit. 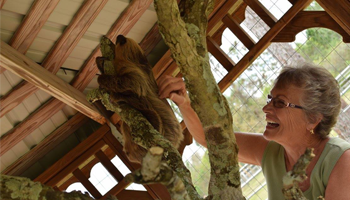 Enjoy 2 hours of extreme animal interaction with holding all of the smaller animals INCLUDING the sloths! You will also play with Olive my super fun and adorable owl monkey. You will do all the group visit offers as well, with even more interaction all the way through. This is a semi-private visit, so you always have an animal in you arms! If you prefer a Private Ultimate, it's not a problem, but please call for pricing. 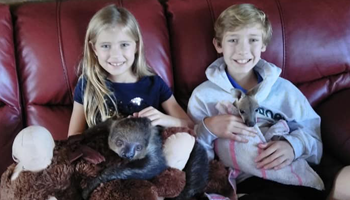 This experience is identical to the Ultimate experience EXCEPT it is 2 1/2 hours AND private for your party, which means you will get even more time with each animal. For the last 30 minutes we allow you to choose which animals to revisit. You can even watch the sloths play in their tree house.. they are SO cute! This is the best of the best!